What Is World Rat Day? WORLD RAT DAY! APRIL 4, 2012! THE TENTH ANNUAL, INTERNATIONAL RAT HOLIDAY! April 4, 2012 will mark the tenth celebration of World Rat Day, a holiday designed to recognize the fancy rat as a wonderful pet and companion animal for people of all ages. Sometime in 2002 on the ratlist, the longest standing mailing list on the internet dedicated to the topic of the pet rat, a discussion was sparked about the possibility of initiating a holiday to honor and promote pet rats as the wonderful companion animals they are. The date of April 4th was selected to be World Rat Day because this is the only certain date associated with the beginning of the ratlist (under the current ownership of James Kittock and Robyn Arthur). Any day of the year could have been selected but April 4th was settled on as a small tribute to the ratlist, a list that has truly been a great boon to all pet rats everywhere. All true fans of the pet rat know that these dear, sweet animals deserve greater recognition and admiration, and that their image suffers from ignorance and unthinking prejudice. World Rat Day can be a day to win back some respect to rats through positive promotion, or at the very least, it will be a special day to offer delicious treats and fun gifts to our pets, making some rats very happy and getting some cute photographs in the process! Many rat fanciers will choose to celebrate World Rat Day by planning private parties, with friends and family attending and possibly bearing gifts and treats to unsuspecting and surprised rats. World Rat Day greeting cards will surely make their way around the globe and in to the homes and hands of many grateful rats, although nobody can say whether they will be cherished or shredded. Many rat fanciers will probably plan larger events such as Ratfests, where many rat fanciers meet at a private home or special location to share food and rat-positive cheer. 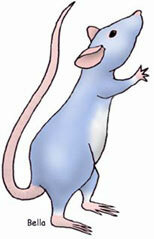 At least a few rat fanciers will seek out positive means to promote these special animals in various medias. World Rat Day lends itself well to organizing large-scale ratfests, contacting various medias for coverage in the "human interest" section of the newspaper, and even television programs. Whether World Rat Day is devoted to private parties or public outreach, we all will be prepared on World Rat Day to explain to anyone who asks that the pet rat is a wonderful pet with all the qualities necessary to become a part of the family. 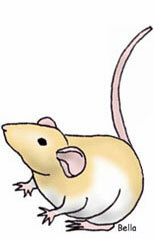 The pet rat is intelligent, devoted, clean, gentle, and imminently lovable. World Rat Day will prove all this to be true through the special efforts we make to honor our pet rats. Join us in making the first World Rat Day a huge success by planning a private party, ratfest, public promotion or other event on April 4, 2012. If you would like to express your interest in helping to promote World Rat Day 2012, please contact Susan at susan@worldratday.com. We have many special years of World Rat Day to look forward to, so there is plenty of time to work towards future events. World Rat Day in 2012 will be on a Wednesday. Tell everyone you know, and be sure to join the banner campaign to promote World Rat Day. If you are interested in adding a World Rat Day logo to your Web site, feel free to use any of the logos here.